Moscow, «Meditsina», 1988, 304 pp., illustr. important is the problem of children's alcoholism studied by F. F. Erisman. control. On the alcohol health promotion. 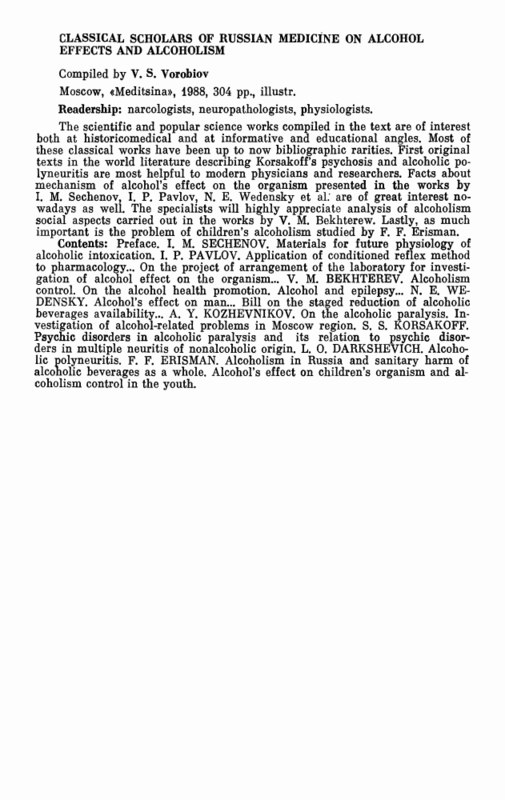 Alcohol and epilepsy... N. E.
beverages availability... A. Y. KOZHEVNIKOV. On the alcoholic paralysis. Investigation of alcohol-related problems in Moscow region. S. S. KORSAKOFF. disorders in multiple neuritis of nonalcoholic origin. L. 0. 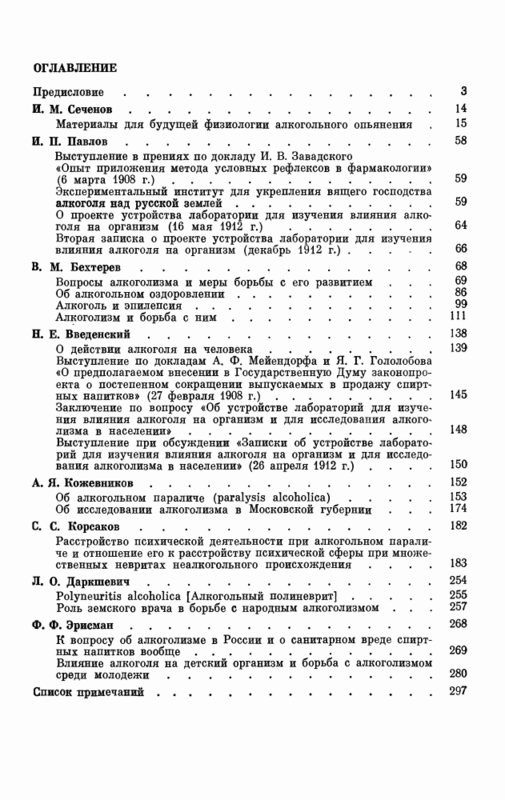 DARKSHEVICH. alcoholism control in the youth.